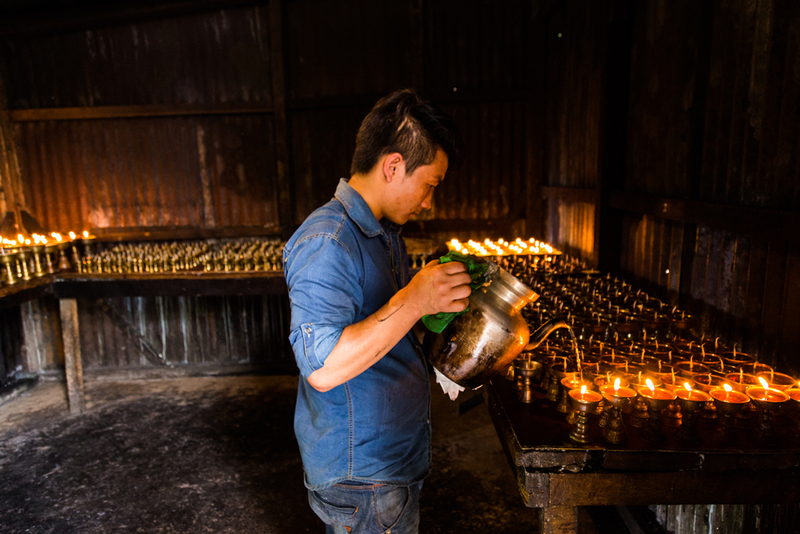 A boy lighting butter lamps. 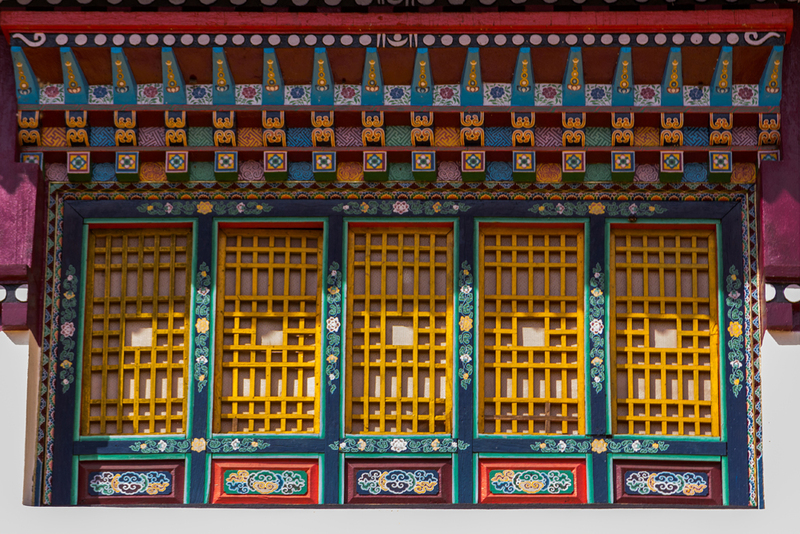 Lights of the lamps represents the illumination of wisdom. 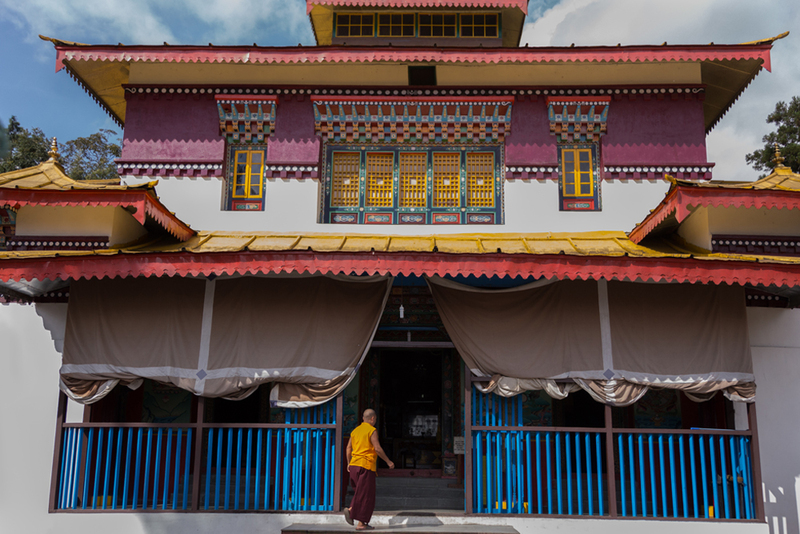 Enchey monastery was established in 1909 on a hillock close to Gangtok, capital city of Sikkim. 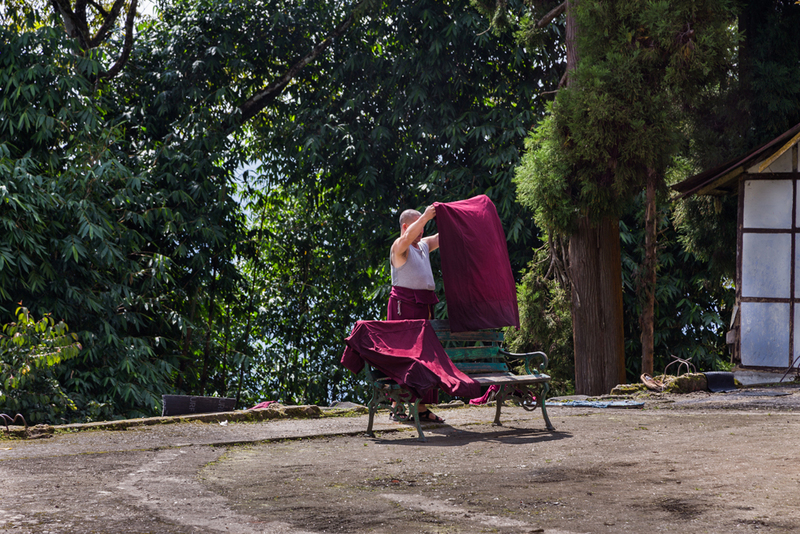 It belongs to the Nyingma order of Vajrayana Buddhism. 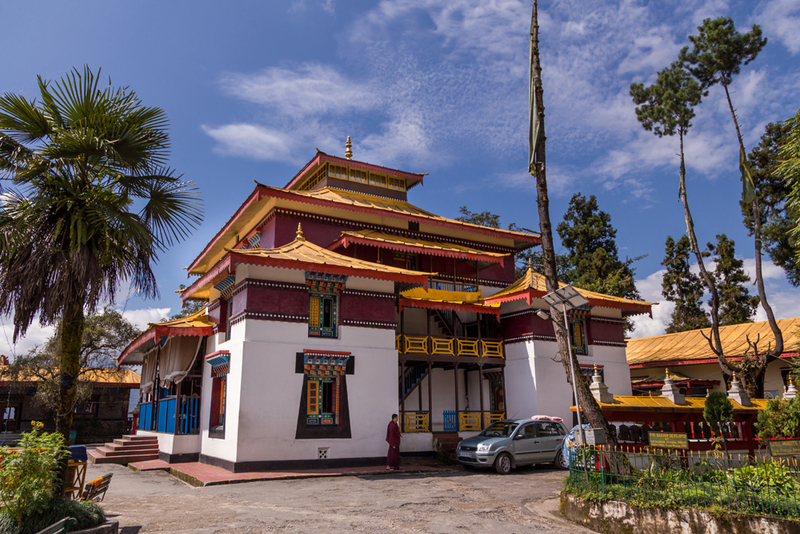 It is located 3km away from the main market of Gangtok. 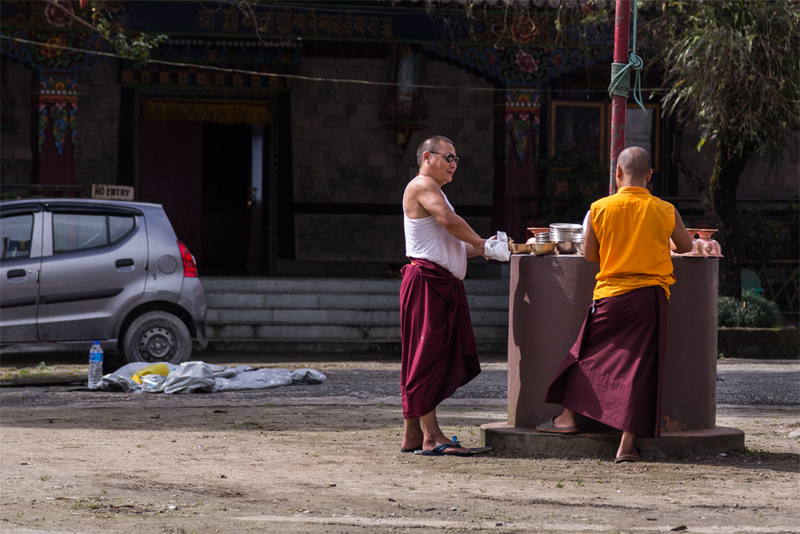 Lama Drupthob Karpo is considered as the founder of the monastery. 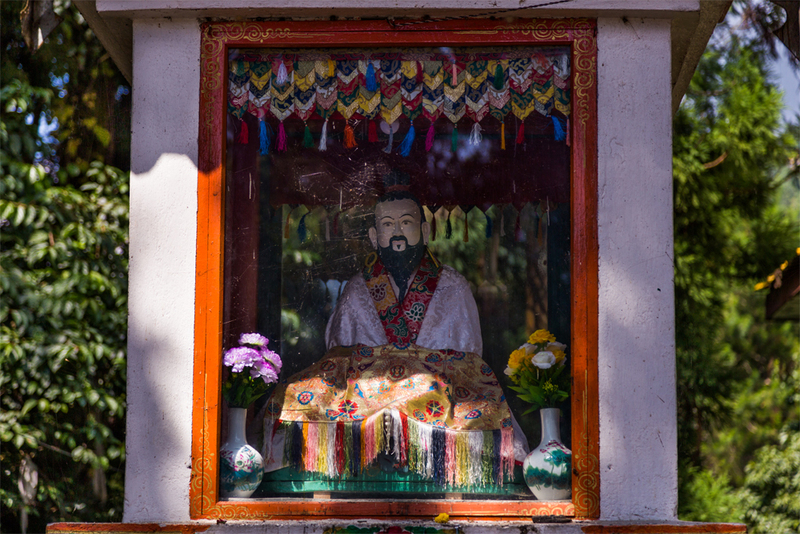 He was a practitioner of tantric art in Buddhism and believed to have flying powers, flew here from Maenam hill in south Sikkim to this site. 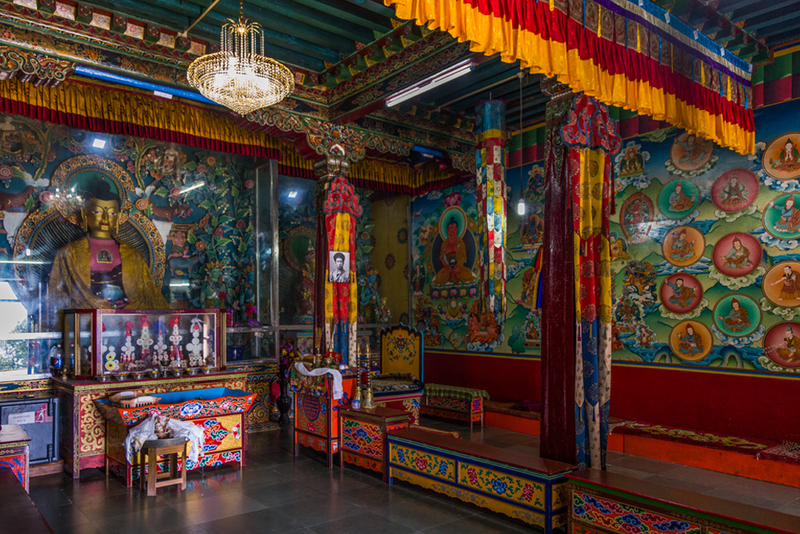 The monastery has a lot of religious significance as it is believed that Guru Padmasambhava had subdued the spirits of the Khangchendzonga, Yabdeen and Mahakala here. 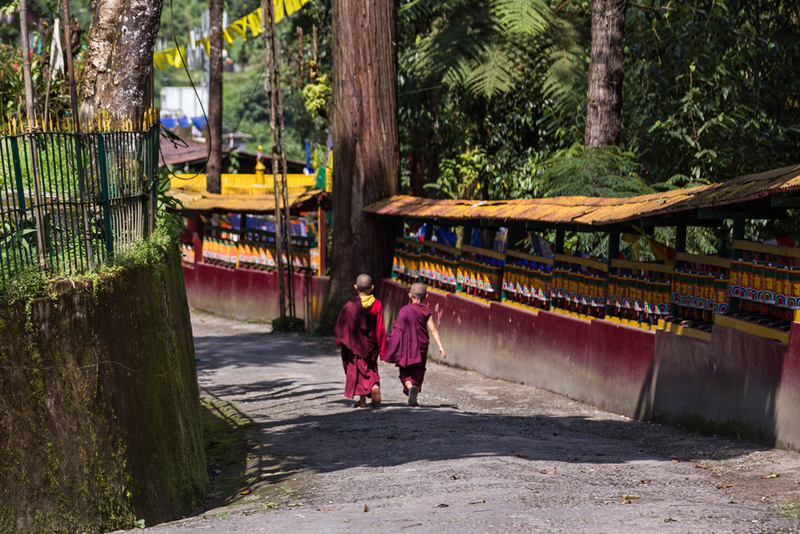 The meaning of the word enchey is ‘solitary’. 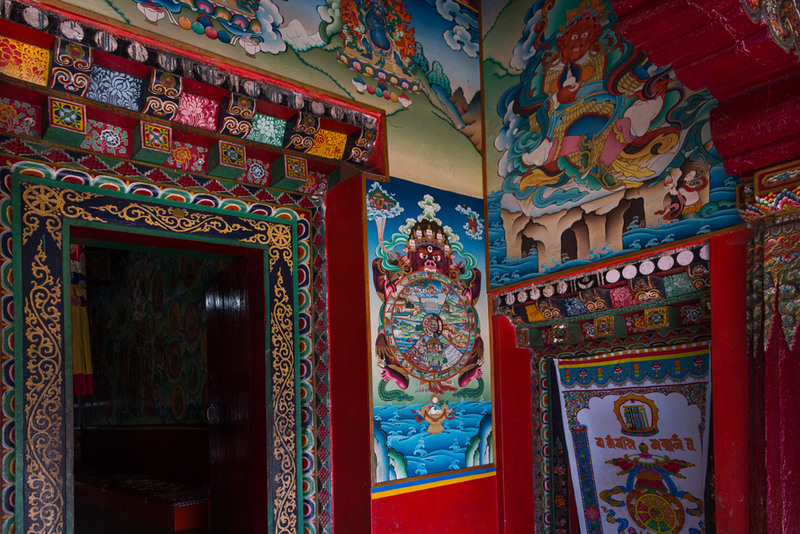 From the monastery you can see a majestic view of Khangchendzonga.